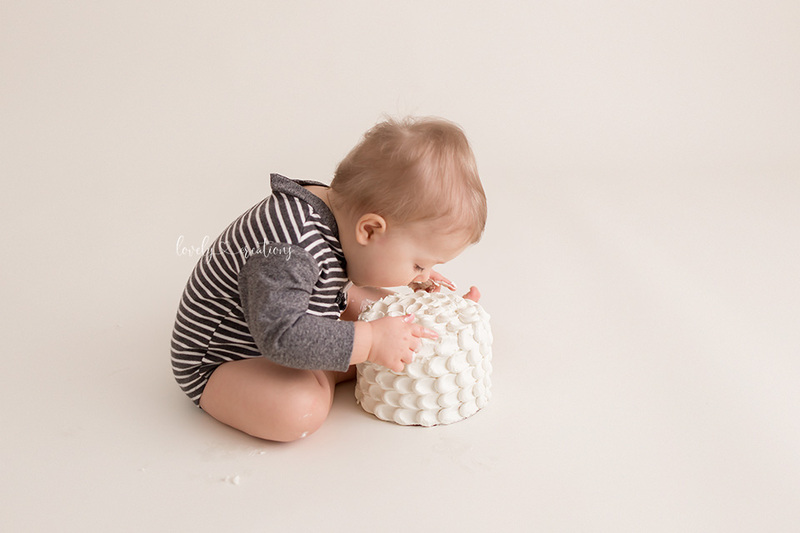 I loved it when he got right into his cake! 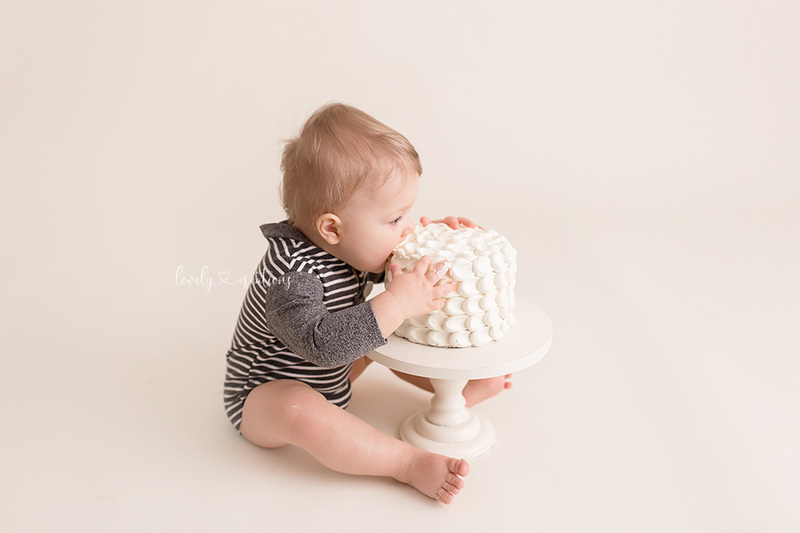 These last few babies have absolutely loved their cakes by Amandas homemade goodies! She makes the best cookies and cakes around and I couldn’t do these session with out her beautiful cakes. 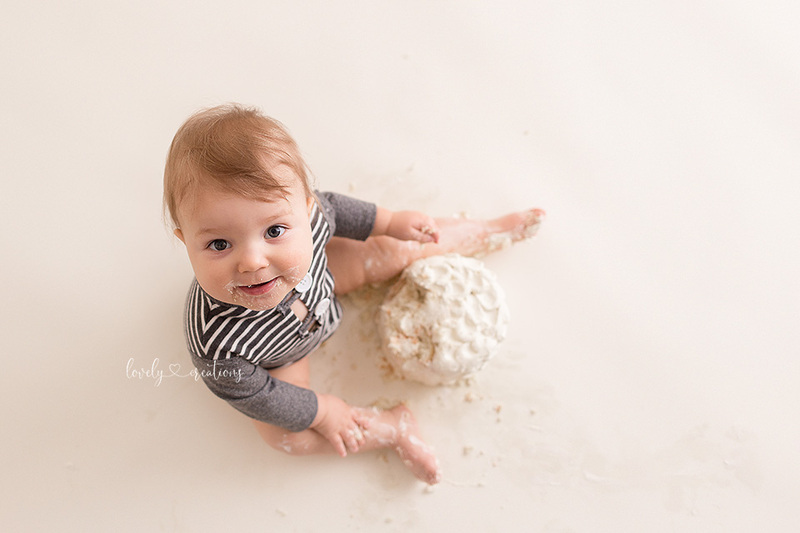 Right now you can save $50 OFF your cake smash session when you book your session this month. Sessions can take place anytime in 2019 based on availability (June is almost booked up). 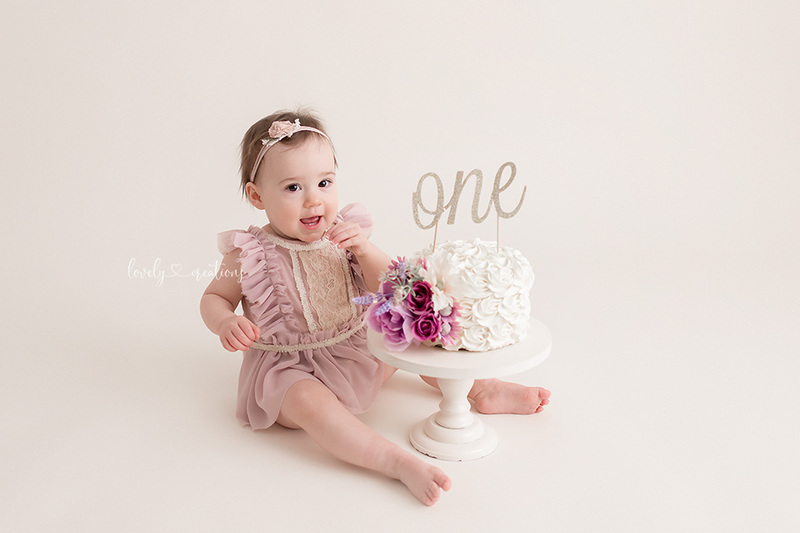 The best part is your session includes all of your final digital images on USB so you do not have to narrow down your favourites! You get to keep them all! AND! 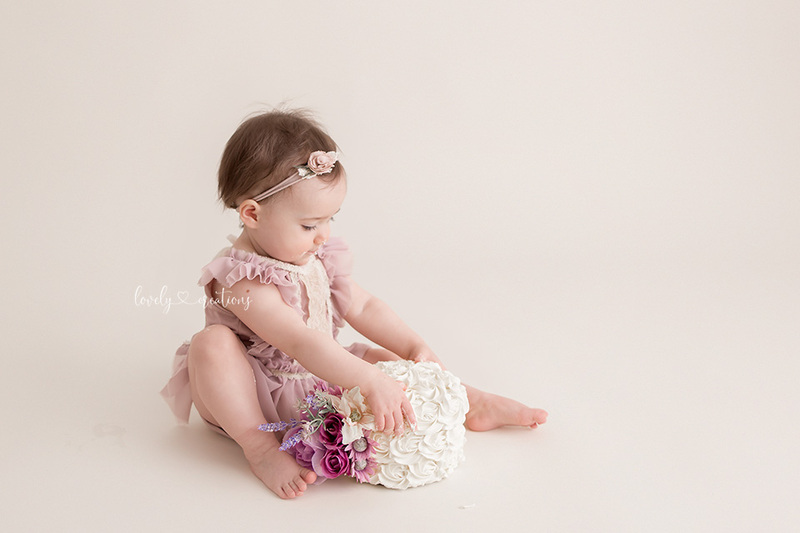 You also get corresponding 5x7 keepsake prints of each digital image from your session. 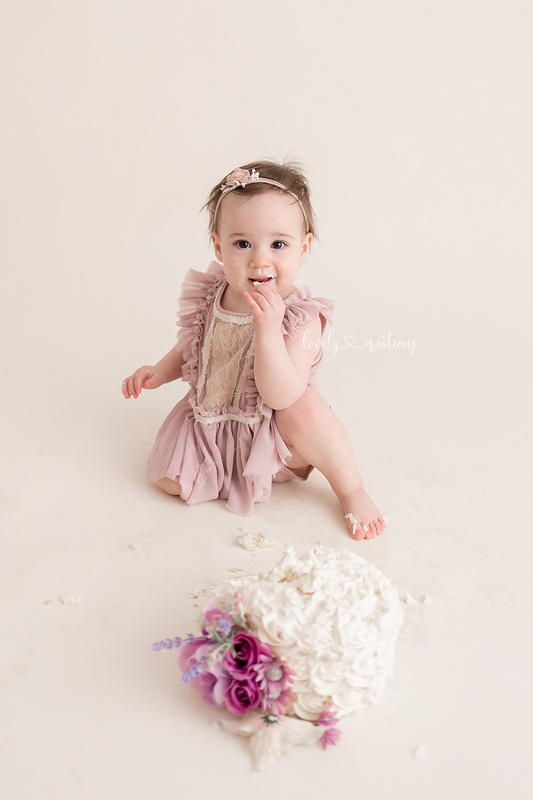 Simple Cake Smash Baby E.
I had the joy of having her in for her session. 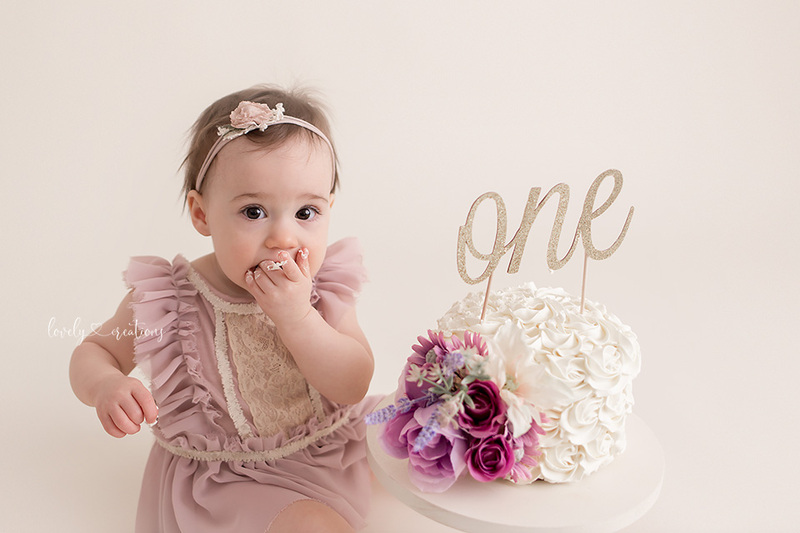 She loved her cake and had a great time! 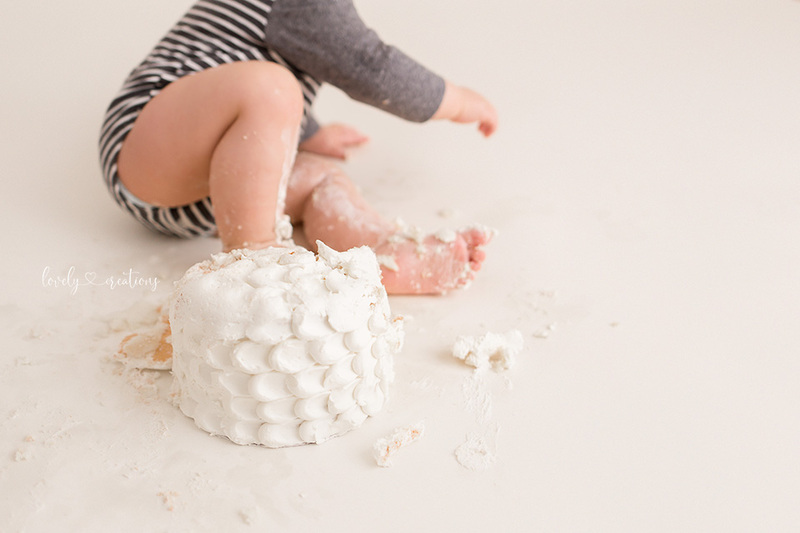 I absolutely adore these simply styled cake smash sessions and I guarantee you will too! 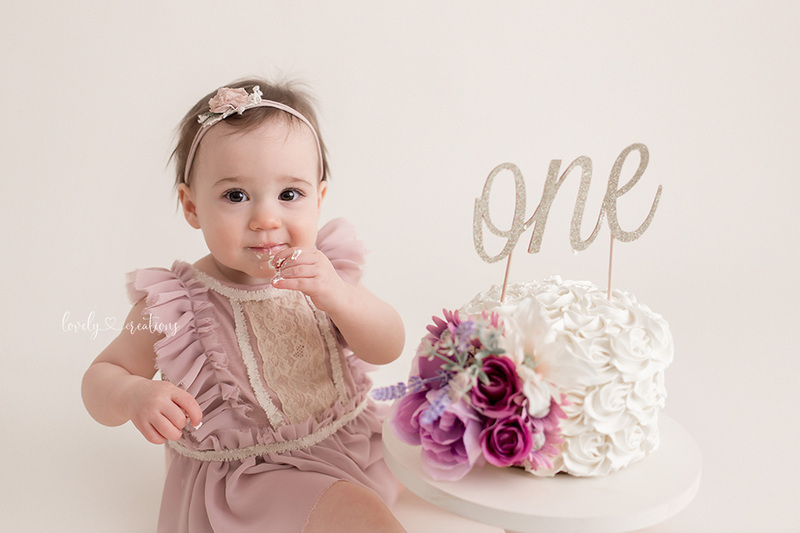 These images will last a life time and can go with ever changing decor. Rarely do I remember to blog sessions. The last session I blogged was back in August 2018! 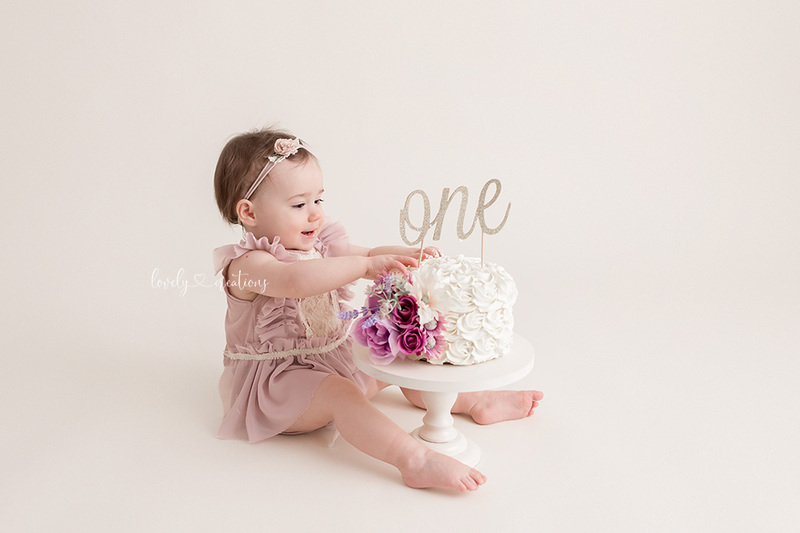 I wanted to share our new style of Cake Smashes so that potential clients can see how easy and simple these sessions are meant to be while being mainly…. timeless. 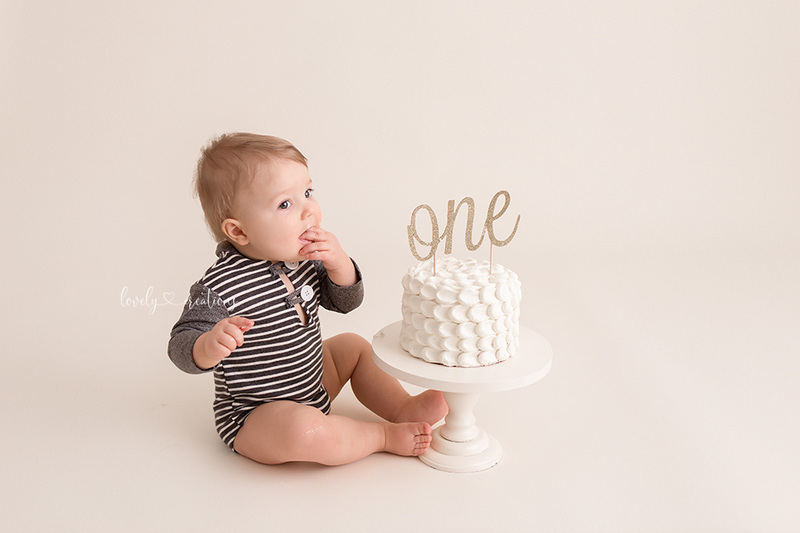 I struggled for so long on how I wanted to do my cake smashes, but once completing this session, I knew this is what I want for my clients. I want these images to be able to be in your home for years to come without fading fads or overdone set ups. 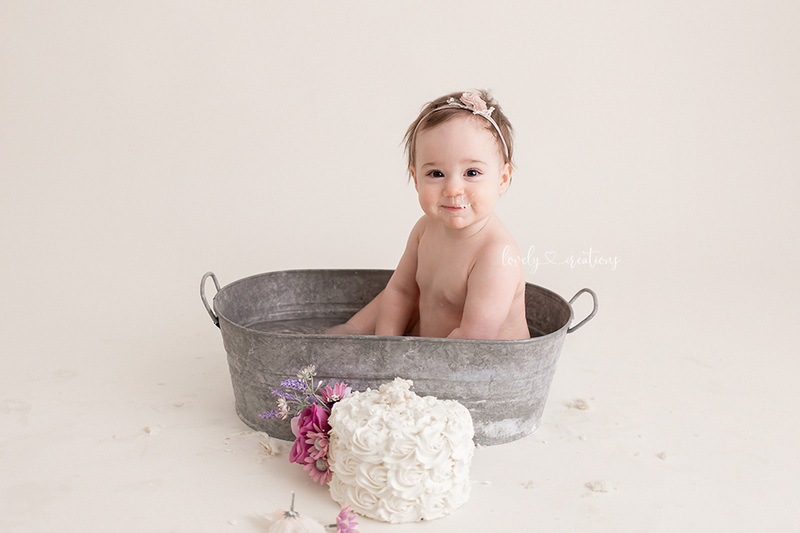 I want you to have clean and simple with just baby and cake! March is almost full booked up, I suggest booking ASAP if you are looking to get a spot on my calendar this month. April to August have limited appointments available as well. 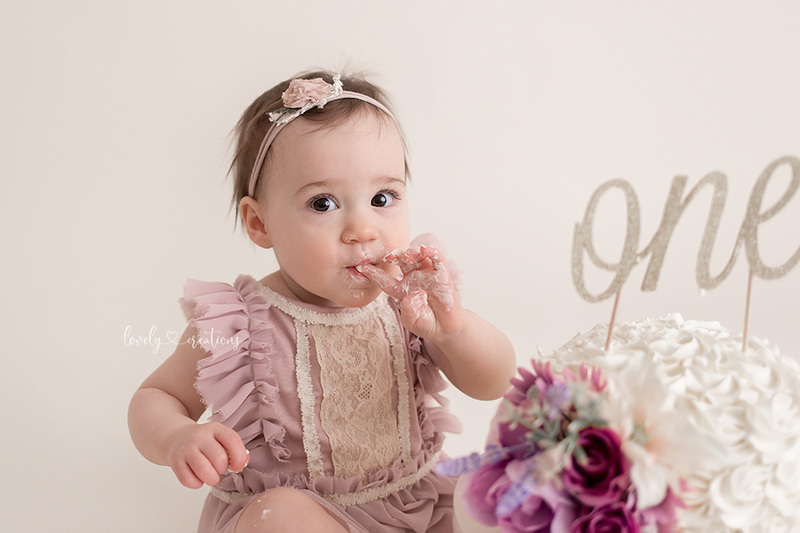 Its recommended to book at least one to two months in advance for any baby session… more booking notice is usually required for newborns. 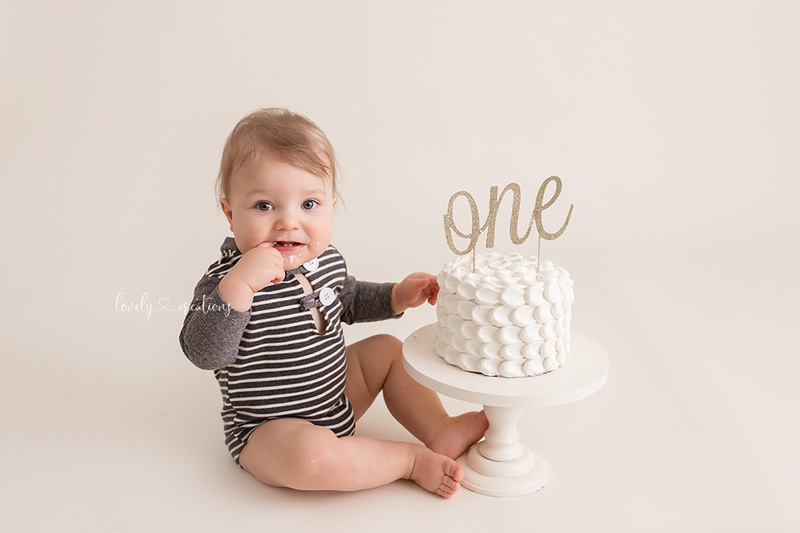 I hope you enjoy baby and cake!